Lawrence Downing is senior pastor of the White Memorial Seventh-day Adventist Church in Los Angeles, California. Every major Western city has them. They are the once grand churches where the community movers and shakers gathered to worship, along with the congregations that filled them. Today they have all but vanished. The structures that remain are often sparsely attended, underutilized, underfunded, and under-maintained. For the past eight years, I have been the pastor of one of these churches. The White Memorial Church and the White Memorial Medical Center share a campus located less than two miles from the heart of downtown Los Angeles. We look out of the windows of the old church and see skyscrapers and office buildings looming tall. Thousands of people come to work in these buildings each day. At the end of the day, they rush out and retreat to their suburban homes. On the other hand hundreds of thousands do not withdraw to the suburbs. They live in houses and apartments in and around the downtown core. This is our parish. These are the people who attend the churches that were once thriving city-center congregations. The story of how The White transformed itself from a thriving institutional church into an urban parish congregation may offer lessons to other inner-city churches. The White, like other inner-city churches, has a long and distinguished heritage. The church was established to accommodate an existing congregation. In 1912, the young Adventist denomination started a clinic in central Los Angeles. The clinic was later moved to its present location in the Boyle Heights area of East Los Angeles, and a hospital was built to serve as a training center for what was then the College of Medical Evangelists (CME), now Loma Linda University. For the first 50 plus years, the congregation met in medical school classrooms or the auditorium until 1956 when the present church structure was built. The church was intended and designed for the CME faculty, students, and hospital staff. 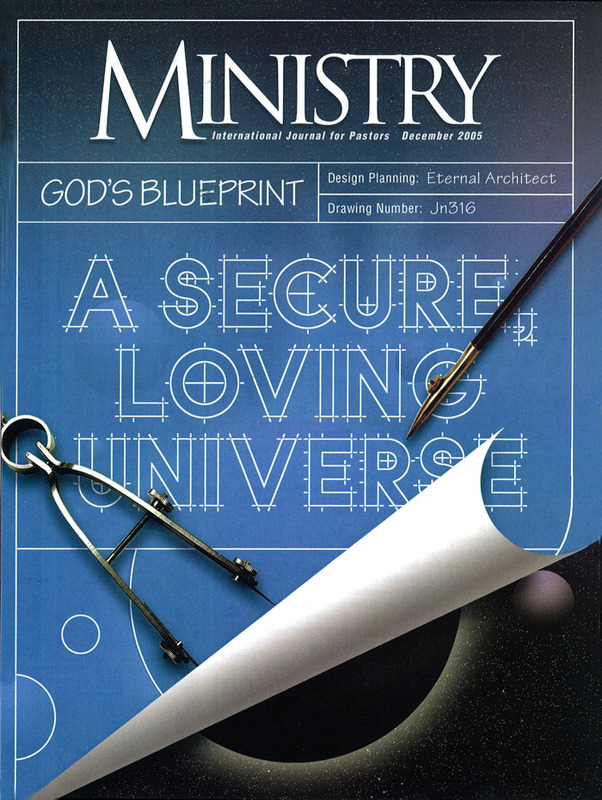 Its design was not typically Adventist. The large, domed sanctuary (the largest unobstructed dome building west of Chicago when it was built) can hold nearly 2,000 people in theater-style padded seats. In the early years it was filled to capacity each Sabbath morning. The euphoria of those years came to a shattering halt in 1964 when the CME moved to Loma Linda, California. In one swoop, the medical students, faculty, and support staff left, and the congregation lost a valued and vital institution. The church and many of its people remained, but without the institution around which its ministry revolved. The congregation and its staff were set upon a course that would result either in demise or transformation. Thus we have, in brief, the story of how The White transformed from an institutional church to an urban parish. When a trusted and valued organization experiences far-reaching change, the emotional impact upon people parallels the loss, on a personal level, of a friend or loved one. During such change, it is important for leaders to encourage people to acknowledge and accept their loss and to present them with a viable and inspiring vision for the future. The fact is that such visions and transitions are part of an ongoing process that takes time, study, and patience. I believe that in the case of The White, this process took more than twenty years. Today, the officers and members affirm that The White is a community church. Accepting that fact, it became essential for the congregation to reach out to the East Los Angeles community and to participate and witness in its life in order to survive as a viable congregation. To fulfill this mission, specific ministries have been established and a corresponding financial structure created. It is imperative that such a church has the financial resources to continue operations and makes the necessary ongoing changes. This is, of course, a significant challenge. The people who built and paid for the church were now gone, and with them they had taken their financial resources. Fortunately, some of the first members established trust funds to assist in later capital improvements and maintenance. These funds were the end-of-the-year safety net that rescued budgetary short falls not a healthy situation when one is thinking long term, and The White's future was limited by how long the funds held out. There are just three basic ways to respond to deficit spending: cut expenses, increase income, or shut down operations. The church rejected the last option and implemented the first two. We took a look at the church budget and prioritized programs and expenditures. The end result was a savings of more than $30,000 per year. To increase income, we began to search for another congregation that needed a church home. We now share our facilities with a Korean Presbyterian church. It is important to note that in such sharing situations compromise is the secret. The Korean pastor is an important player in our relationship. If either of us as leaders is rigid in our demands, if we bring every problem and complaint to the board, we can expect conflict and division. On the other hand, if we as pastors are fair, willing to compromise and act as buffers between the groups, we can expect a tranquil relationship. Sharing a facility is a good way to share costs with others who need a church home. We also get money from leasing the church bell tower to a cell phone company! The result of bringing down expenses and increasing revenue is that in 2004, for the first time in more than fifteen years, we achieved a balanced budget. The challenge we face is to hold ourselves to the budget and at the same time provide for meaningful ministry and outreach. Eleven years ago The White, with assistance from the North American Youth Department and the Hancock Center at La Sierra University, established Urban Embrace, a Monday-through-Saturday summer day camp program for kids ages 6-13. The concluding Sabbath of Urban Embrace is marked by the presentation of a full-blown Christian musical. Seven years ago, one of the church members, despite having no musical skills, started a Sabbath afternoon music enrichment program for community children. He purchased electronic keyboards and found people willing to teach piano and choir. Each week, more than twenty kids meet to learn how to play and sing hymns. Five years ago the church, in cooperation with the Los Angeles Times and the Bank of America's Read by 9 Program, began an afternoon tutoring program for grades K-8. Last year, after receiving a $55,000 grant from the California Endowment Fund, the program was expanded to include a college preparatory program for junior high and high school students. The Tuesday morning Food Bank each week brings 65-85 community people to the church; monthly seminars another 25-30. One group of ladies in the church came up with the idea of inviting those who participated in our community pro grams to Saturday-night parties that celebrate significant holidays. The activities centered on family participation. About 75 attended the first event, and more than 100 the next, with over 350 coming to the third. As part of the program, an invitation was extended to attend the next Sabbath-morning worship service. But we found that more than half who came did not speak English. So we began a Spanish-language worship hour. Thirty-eight people came to the first Sabbath service, and the number continues to increase. The White Memorial saga keeps developing and growing. Challenges lie ahead. But one significant transition has been made: the people who attend and lead The White Memorial Church accept the fact that the church and its future are linked to the community. For the urban church to survive and grow, it is important for the congregation to seek to understand its community and its people and create ministries and programs that appeal to those who live in their community. Person-to-person contact is the way to go!